Oishii Sushi Bar - Sunnybank Hills, Brisbane - my name is Food. Going to our usual sush place for plates of sushi, we always try and avoid the rush but sometimes its unavoidable when it's just busy busy. 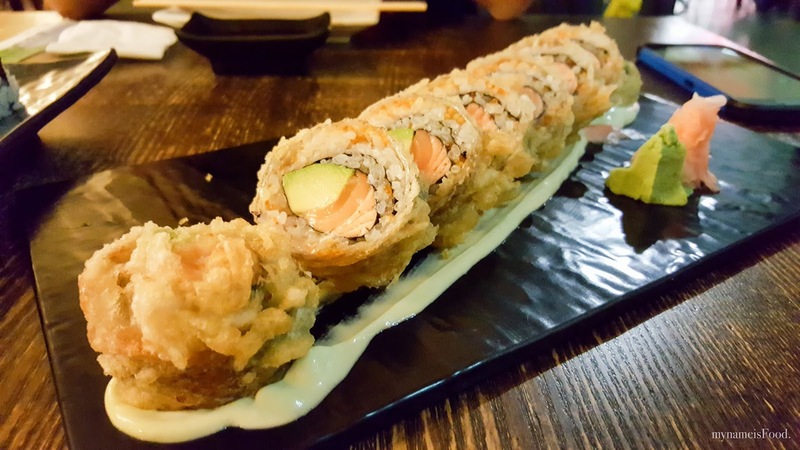 Offering a variety of sushi and also Japanese dishes, no one will be left hungry when they leave. 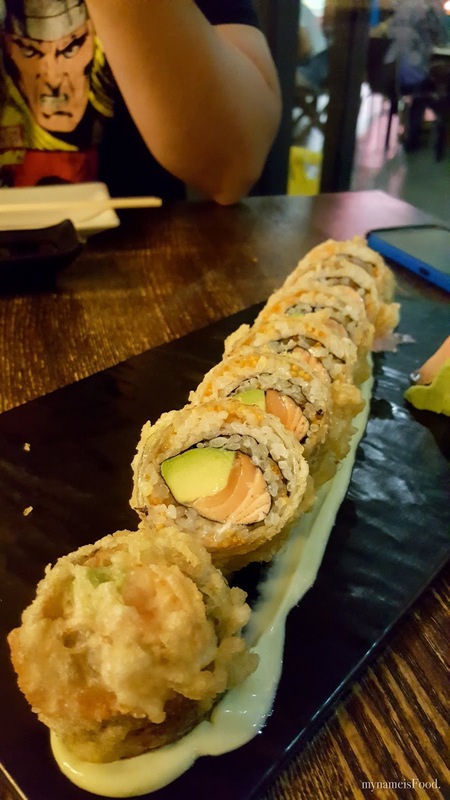 Snake Roll is one of our fav to order specially because it has both medium rare salmon and salmon skin all in one bite. 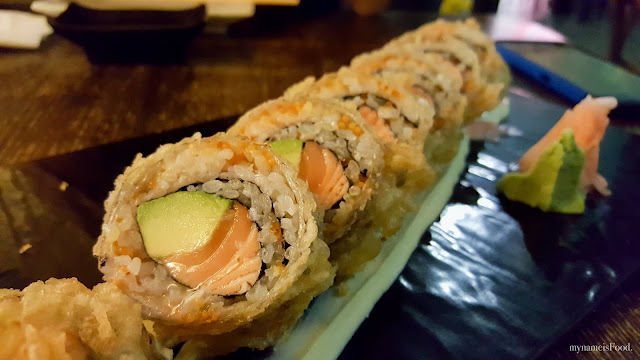 Imagine tobiko within the sushi rice, salmon and avocado as the main filling, all wrapped in a deep fried salmon skin tempura dressed in wasabi mayonnaise. With or without the soy sauce, it will already have the flavours balanced out. Adding a bit of wasabi and/or ginger will add that extra bit of umph to it. Himawari, also another one of our favs. Deep fried marinated chicken with avocado paste, seasoned with egg rice seasoning (furikake) and sesame seeds, wrapped in a thin omelette. The furikake on top of the sushi rolls gives it that extra crunch. The avocado paste is very subtle as the deep fried chicken overpowers the whole filling. It's good to eat a mouthful knowing that the deep fried chicken is still warm, not cold. 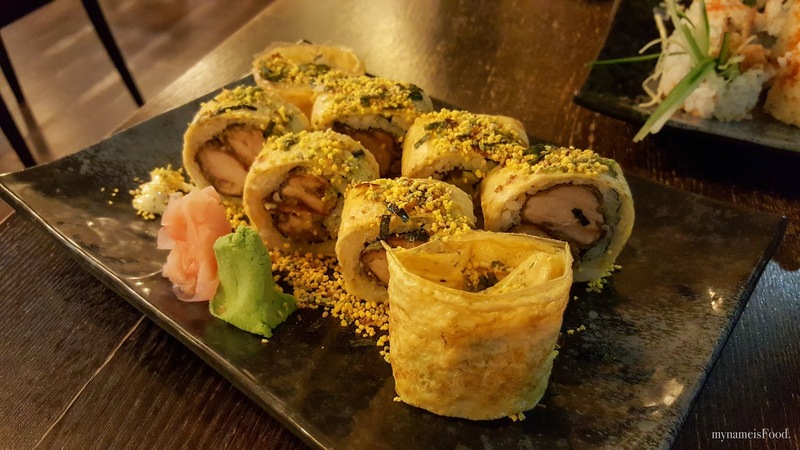 Sometimes, you may order a chicken sushi roll but then it's cold by the time you start eating it. 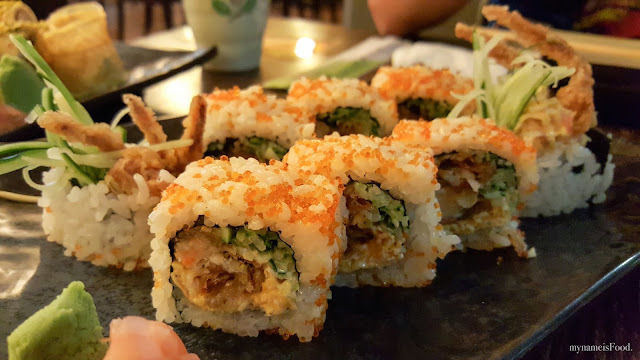 Spider Roll had tempura soft shell crab rolled with Kani-tama salad (japanese fish cake and egg) and cucumber covered with tobiko (fish roe). A simple but tasty sushi roll. 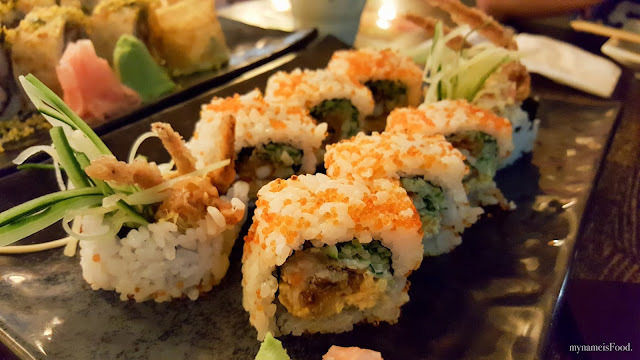 Either ends of the sushi roll always have two of the rolls with the soft shell crab's legs and sprouting cucumber.